A nice gift for your love one or Mother's Day, a trendy delicate necklace with a serotonin molecule pendant. 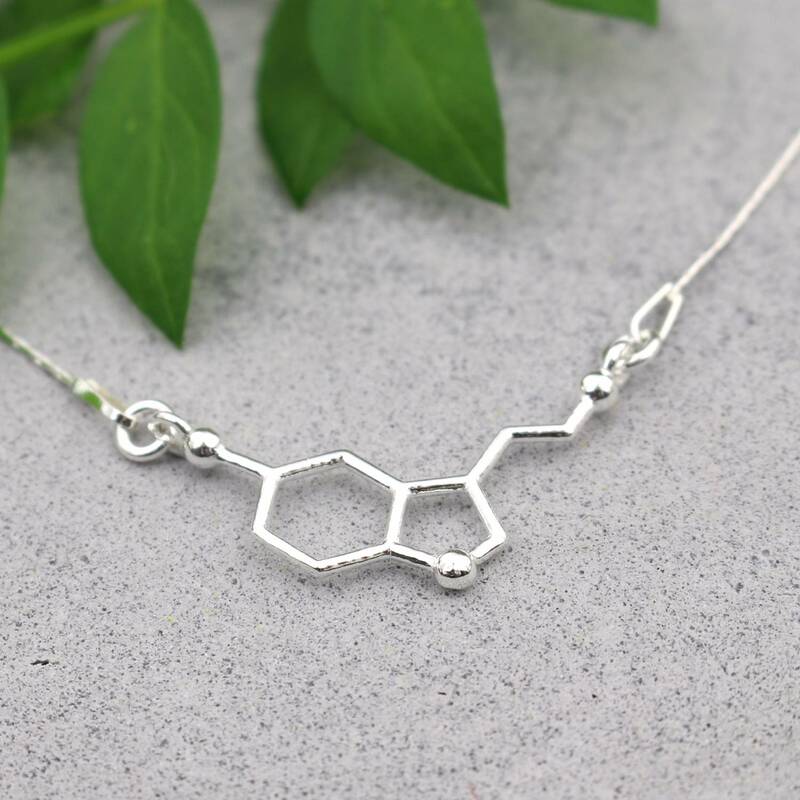 Serotonin is the hormone (happiness hormone) that gives you a happy feeling, what's more fun then to give this cool necklace as a gift to the one who makes you happy? The hip small serotonin pendants are made of top quality silver and you can also choose for gold or rose gold plated necklaces, a beautiful trendy necklace with excellent value for money. The delicate cardano chain glitters and you can adjust the chain to your size. The necklace is sent to you in a black jewelry box in free gift wrapping. Send a card with it? No problem, indicate which text you want on the card under "comment" during the order process and we will add a card for you free of charge, a nice surprise for the person who makes you happy. The ARLIZI necklaces with serotonin pendants are unique in the Netherlands! Shop the serotonin pendant necklaces.